Why Recommend Shawn Chesney Home Inspections? Shawn Chesney Home Inspections (SCHI) is providing full Home Inspection Services including Thermal Imaging* throughout the Niagara Region and Golden Horseshoe with prices starting at $295. The best possible inspection with a thorough and detailed report providing clients with “peace of mind”. What can you expect from working with Shawn Chesney Home Inspections? We arrive at our appointment time and begin the outside portion of the Inspection. We leave it up to the Agent to decide to arrive at the appointment time or arrive an hour later to let us inside to perform the interior portion of the inspection. We understand and appreciate how valuable your time is and we do all we can to make the entire inspection process as efficient as possible. We discuss our report with the client making sure they are not overwhelmed with any aspect of the report, (red comments, number of pictures, number of pages) We make sure they understand this is just a thorough to do list and not the end of the world type of report. We inspect on a every house is worth buying attitude. The question is the price being paid compared to market value and amount of any needed repairs if applicable. Buying a home is one of the largest investments if not the largest that we will ever make. We ask for advice from others when we purchase a car, a television or computer system. Why would we not do the same when making most likely, the largest purchase of our life? Shawn Chesney Home Inspections brings decades of experience and certifications to every Inspection providing one of the most thorough and detailed reports in the Industry. Ontario is one of the provinces that presently do not require Home Inspectors to be licensed and as a result there are many” less than qualified” firms or individuals providing Inspection Services. SCHI is fully insured, undergone extensive training, courses and passed numerous exams to receive its Certified Professional Inspector designation (C.P.I.) and is also a member in good standing in InterNACHI, the largest Association of Home Inspectors in the world. SCHI performs its inspection with the most advanced equipment and technologies available. 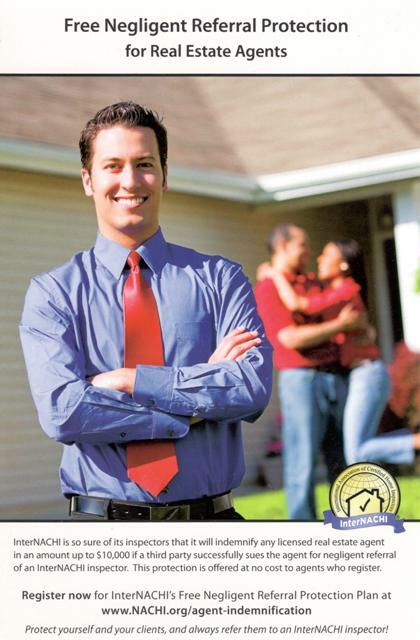 SCHI offers several guarantees, Buy Your Home Back Guarantee and also a $10,000.00 Honour Guarantee. SCHI also provides a $10,000.00 Indemnity coverage for all Real Estate Professionals registered under our Indemnification Program.